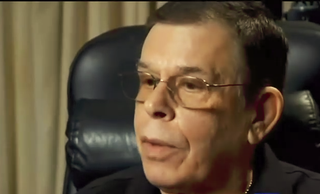 Art Bell has died. The legendary late-night radio host, who spent decades at the helm of his massively popular interview and call-in show, Coast To Coast AM, calmly listening and questioning as his guests and callers outlined every damn conspiracy theory, alien abduction idea, and off-the-wall opinion that happened to cross their minds, was 72. Regardless of his own beliefs—reportedly a sort of skeptical Libertarianism—Bell understood that there was good radio in letting these elaborate ideas play out; like a great improviser, he could yes-and almost anything, whether his guest was talking about “shadow people,” secret Navy experimentation, or a whole host of alien-related ideas. Occasionally, that openness would run him into trouble; when the Heaven’s Gate cultists killed themselves in 1997, there were those who accused Coast To Coast’s propagation of the idea of a “companion” object traveling with the Hale-Bopp comet of prompting the suicidal act. But Bell soldiered on, walking listeners through the darkness until 2002, when he stepped down from his regular hosting duties on Coast To Coast, backing off to only covering an occasional weekend shift. Bell’s life appears to have taken an unwelcome and chaotic turn in the years that followed; his second wife, Ramona, died in 2006, which was followed by a swift re-marriage. He moved to, and from, the Philippines, impacting his ability to host the show on weekends. He retired and un-retired several more times over the following years, launching shows on Sirius and on the internet, before ultimately quitting for good in 2015.